Theresa May returned to the Commons on Tuesday to try to allay the fears of MPs concerned about a no-deal Brexit. To settle their nerves – and to prevent resignations – she promised MPs a vote on whether to leave the EU with or without a deal, and on whether to ask for an extension of Article 50. But this will not happen unless her deal is rejected, and that “meaningful vote” could come as late as 12 March. So, for now, MPs will only have the chance to have their say on how they want the next steps to play out in a series of votes on Wednesday. The process starts with the government putting down a motion. It is a plain piece of text, asking the House to note the the prime ministers’s statement and that discussions between the UK and the EU are ongoing. This then allows MPs to table amendments, putting forward their proposals on what they think should happen next. Speaker John Bercow makes the final call on which amendments are put before the Commons, so we will not know until Wednesday on what MPs will be voting. A number of amendments have already been touted, as the clock continues to countdown to Brexit day. The most talked about was from Labour’s Yvette Cooper and Conservative MP Sir Oliver Letwin, which sought legislation for an extension to Article 50 if Mrs May’s deal was voted down by mid-March. It appeared to have gained support from both parties, including some of Mrs May’s own ministers. But Sir Oliver tweeted that the PM’s statement “does what is needed to prevent no-deal exit” so the pair would not be tabling it. Very good news. PM statement does what is needed to prevent no deal exit on 29 March and enables MPs to forge cross-party consensus on new way forward if PM’s deal does not succeed on 12 March. No need now for Cooper-Letwin Bill. Mrs May might be breathing a sigh of relief at that, but it is not the only possible amendment on the table. So who else is putting proposals forward and what might they be? As we explained above, the Cooper/Letwin amendment is not going to be tabled as the MPs behind it think the prime minister went far enough in her statement to prevent a no-deal Brexit. But both Ms Cooper and Conservative backbencher Nick Boles – who has played a part in the amendment from the start – tweeted they would be bringing something else forward. Ms Cooper confirmed later that she would be tabling an amendment – with the support of MPs including Mr Boles and Tory former attorney general Dominic Grieve – to reiterate the statement made by the PM, giving MPs the chance to vote on it specifically. It would not be binding in the same way as an Act of Parliament, but would nonetheless be an expression of the will of the House and that would be politically difficult for Mrs May to ignore. 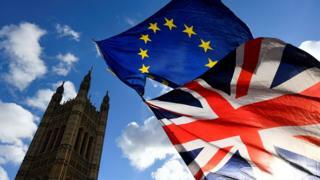 Tory MP Caroline Spelman and Labour MP Jack Dromey have already proposed one successful amendment, which they tabled last month, gaining the support of the Commons to avoid a no-deal Brexit. However, unlike the now scrapped Cooper/Letwin amendment, it does not lead to legislation, so the government would not be bound to stick to it. The pair, who sit in neighbouring constituencies in Birmingham, have now said they will table another two amendments for Wednesday that could “pave the way” for legislation to force the government to provide an opportunity to extend Article 50. The first sticks to the Cooper/Letwin plan, calling for a day in Parliament to be scheduled for 28 February to make the option of voting for an extension legally binding. The second would put aside 19 March – after the PM’s suggested votes – to have a debate and to hold a vote on the form of the future relationship with the EU. But in a joint statement the MPs said they would “seek assurances from ministers” during Wednesday’s debate to “secure confirmation of the prime minister’s commitments”. If they are reassured the opportunity for an extension to Article 50 will be forthcoming, they will not put their amendment to a vote. The future of this amendment is not yet certain. It would also extend Article 50 so the UK can leave the EU later than 29 March if Mrs May fails to pass a deal, but it is a much softer version of the original Cooper/Letwin amendment. Firstly, it would not involve MPs taking control of the parliamentary timetable, as its rival amendment did, and secondly, it limits any delay of Brexit up to and not beyond 23 May 2019. This is a shorter delay than the prime minister suggested in her statement – as she suggested the UK could hold it until the end of June. But as the proposal was put forward by the Brexit Delivery Group to seek to appease potential rebels who may be considering voting for Cooper/Letwin, it may not be needed anymore. Conservative backbencher Alberto Costa has already published his proposal to protect the rights of UK citizens in the EU, and vice versa. The amendment does not ask for a new agreement. But it calls on the government to implement the part of the withdrawal agreement – the so-called “divorce bill” element of the deal – that includes citizens’ rights, regardless of the outcome of negotiations. Jeremy Corbyn has confirmed he will table an amendment to again push for his party’s proposals for Brexit. These include creating a permanent customs union with the EU, and a close relationship with its single market. However, if this deal fails to get the support of MPs, Labour has confirmed it will put forward or support an amendment in favour of a public vote “in order to prevent a damaging Tory Brexit” or no-deal outcome. The party proposes a further referendum would then be held between Mrs May’s deal and remaining in the EU. Just over a week after they quit their parties to come together, the Independent Group will be tabling their first motion. It calls on the government to set time in Parliament before 8 March to debate and decide what the necessary steps are to prepare for a public vote. For them, the ballot paper would have the options of whether to proceed with what is agreed by Parliament, or whether to remain in the EU. It has the backing of the SNP, Liberal Democrats and Plaid Cymru.